• Free Eyesight Testing for P.R.S.I. and Medical Card holders. • Purchase Frames from €88.00 and get a second set free, offer includes Bi-focal, Varifocal, Single Vision and prescription sunglasses. • Childrens Metal frames now free with HSE Children’s Clinic form and get TWO SETS for €20.00. • Childrens frames start from €40.00 upwards. 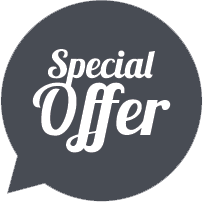 • Purchase 1 set of frames for €88.00 upwards and receive €30 discount. • Daily Contact Lenses from €1.00 per day.